Seeings as I've now joined the 30s club I've been really strict on skincare and adding some anti-ageing products into my stash. 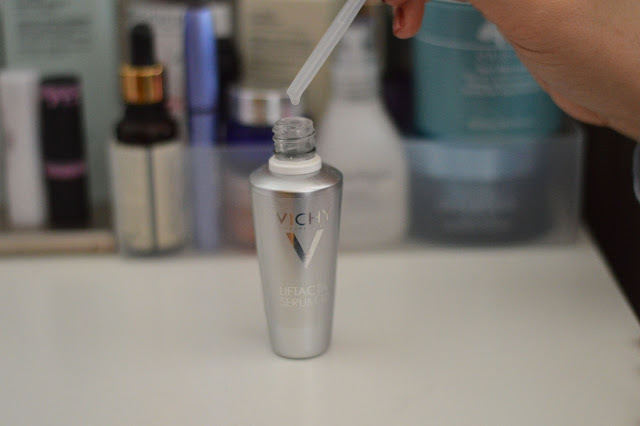 My skin can become sensitive if I'm not careful and try too much too soon so I have to introduce a product at a time and let my skin accept or reject and thankfully my skin accepts Vichy LiftActiv Serum 10*, this is a pleasure to use and it's easy on the bank balance! A lightweight serum which doesn't feel thick or gloopy or heavy. I use this under my day cream and the pair work well together, if you have oily skin you may feel a lighter moisturiser may be more suitable to use over the top. However for dry skins I would still encourage you to use your moisturiser over the top. I have combination skin and find I can still use my moisturiser over the top but find my skin doesn't need as much! The LiftActiv Serum 10 really hydrates skin and plumps it up almost instantly. Which is very important when you're trying to combat fine lines and the first signs of ageing. I find my foundation looks and lasts better since using the LiftActiv Serum 10. The chic slimline bottle is pleasing on the eyes and the pipette applicator is great- means no wastage! 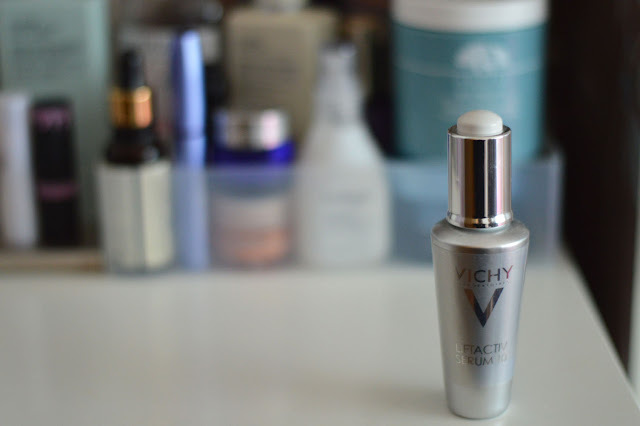 You can purchase the Vichy LiftActiv Serum 10 online from escentual.com. They currently have 15% of which is always a bonus! I'm really keen to try more from Vichy and would really like it if you could comment below with any recommendations!